Happy New Year from Cuddly Carrot! We are bringing in the new with a sweet treat (with no sugar) from Greece. Melomakarona are dry biscuits traditionally made and served with a honey syrup and making them unctuous and melt in the mouth! 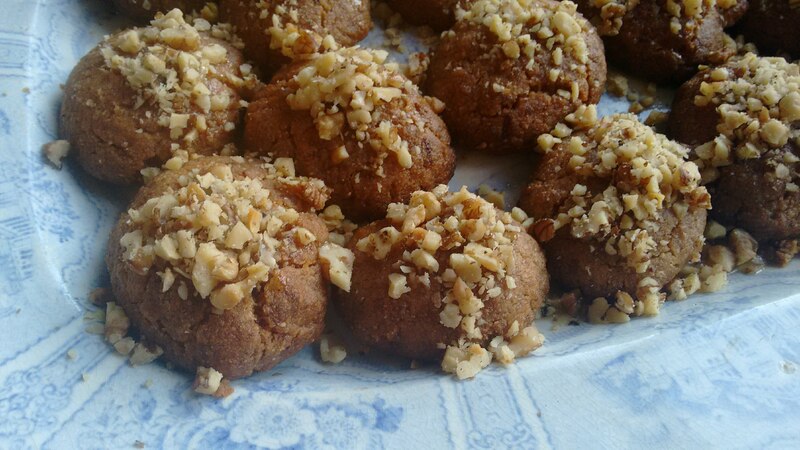 We hope you like our version, adapted by Laura’s partner Panos to include no sugar or wheat. Lovely served with a coffee. Start by combining the Orange juice and baking soda in a cup. Now add the Orange juice mix to the oils in a large bowl. In another bowl, add the flours and spices to the ground almonds and stir to combine. Stir in the oil mix and form a soft ball of dough. Take small handfuls of dough and form ovals of the mixture and place them on a baking sheet lined with parchment paper. Bake in the oven at 180 degrees for around 25 minutes until golden in colour. Leave to cool on a wire rack. to make the syrup, boil the water and agave syrup together with the spices and orange for 5 minutes. Remove from the heat and add the honey, stirring to dissolve. soak the biscuits in the honey syrup for a minute or two on both sides until they have changed colour. Set the melomakarona on a platter before tipping any remaining syrup on top. 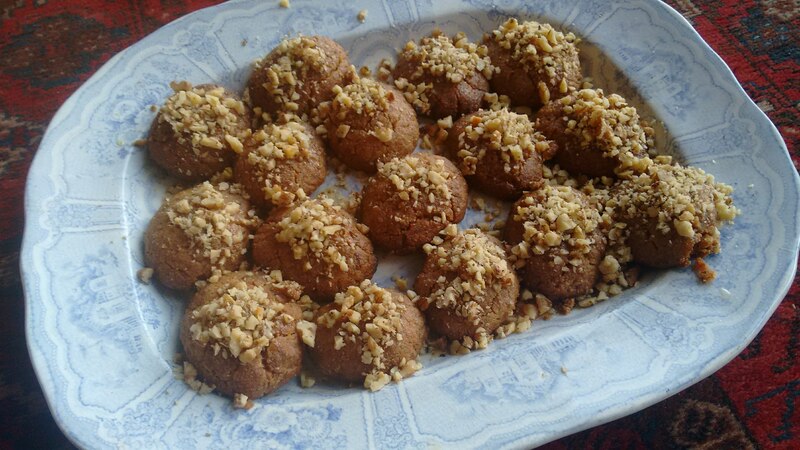 finish by topping the biscuits with a light drizzle of honey and some chopped walnuts.